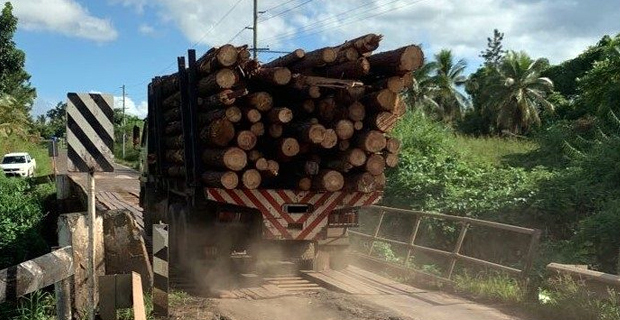 Fiji Roads Authority Chief Executive Officer Jonathan Moore has raised serious concern at the blatant disregard for weight limits on bridges around Fiji. Moore says that in several locations specific weight restrictions have been clearly stated on signs on specific bridges because these bridges are in a deteriorated condition and there is a serious risk that they could be further damaged, or even collapse if overloading continues. He adds that such deteriorated bridges, in 16 locations around Fiji, were due for complete replacement over the next 18 months, but in spite of this load control must be observed right up to their last day of service. Moore has stressed that those motorists and organisations not abiding with the weight limit restrictions are not only jeopardizing lives but are also putting the entire economy of Fiji at stake by continuing to overstress the infrastructure.